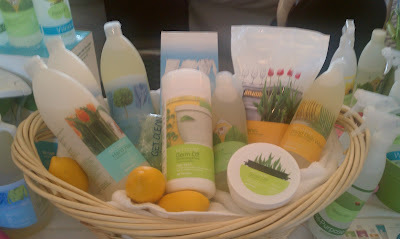 Eco-licious Mama was featured at the National Association for Balanced Moms Mom-Diva Shopping Event this month! There were lots of moms, lots of shopping and lots of pampering! It is so exciting when moms decide to Get Clean of toxic cleaners and say hello to a new, healthier clean! Congratulations to all of the new Go Green & Get Clean Mama’s out there! This pack featured the yummy and wonderful baby and children products! My daughter loves the Incredivites Vitamins and the Mighty Smart DHA Chews! We also displayed the Multi-vitamin and Stress Relief Complex for the Mama’s! Those are must haves according to this Mama! Who doesn’t want a less stressed out mommy?! The Shaklee Get Clean Starter Kit – This one basket is equal to over $3,400 in traditional cleaners! Wowwwweee! And did I mention it’s completely safe and chemical-free! And matches or outperforms 20 National brands! … I could keep going lol!.. it’s used at the White House and NASA!! Lots of moms purchased this Basic Non-Toxic Starter Pack! 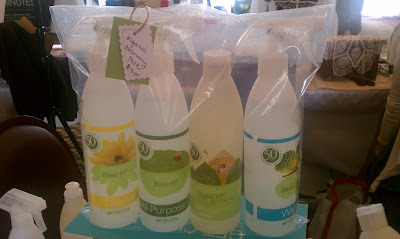 It is the perfect way to start “Getting Clean!” It has the Basic H2 Super Concentrate and the three accompaning spray bottles to fill up with water and then the Basic H2. This kit will save you thousands of dollars too! Don’t believe me? It lasts most people 1-2 years and is equal to over 5,800 bottles of Windex!! I love attending events and talking about how much I love Shaklee and telling other Moms how much they will love it too! !